When transporting, we use a lot of blankets and special bags to cover the piano's delicate parts. 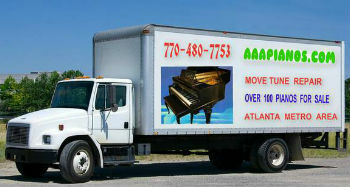 We have an enclosed moving trailer especially built for moving pianos. We are fully insured and have over 35 years of experience. 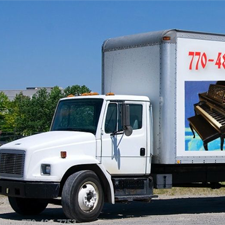 Using the best equipment to handle any size piano, we use a 3,000-pound 7' x 12' v-nose trailer that can carry up to 7,000 pounds of weight with a heavy-duty ramp door for easy in and out (which also has double e-tracks for stable moving). Our pianos are stored in a spacious and climate-controlled area. We are fully insured for your peace of mind. We accept and appreciate piano donations. We can usually remove the piano for no charge unless the piano needs refinishing or rebuilding. In those cases, we have to charge to remove the piano. We will clean the piano, tune it, lube it, regulate the action, polish the pedals and touch up the finish. Then we will find a good home for the piano. 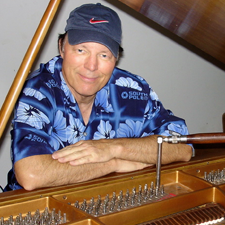 Backed by more than 35 years of experience, we can tune an entire piano by ear. Call us today for an appointment. 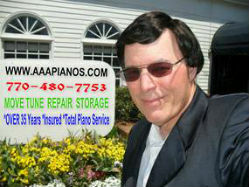 For all your piano maintenance needs, trust the experts at AAAPIANOS.COM in Norcross, Georgia. We specialize in piano tuning and repair. "Very nice; exactly as stated. Prompt, professional delivery. Recommend!" "Superb service, accurate product description, excellent shipping - safe & secure." "Excellent transaction. Very professional. Would highly recommend." 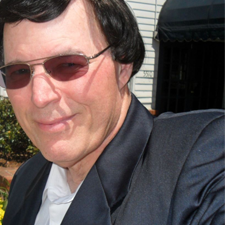 "Tom went out of his way to ensure my satisfaction." 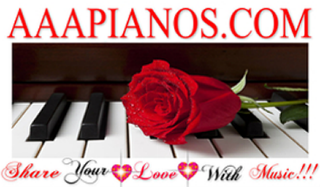 "Absolutely beautiful piano, delivered personally & professionally. Great seller!"